42' (12.8 m) of cutting width will make those long days short again. Use one cutter where traditionally two or three cutters were needed. 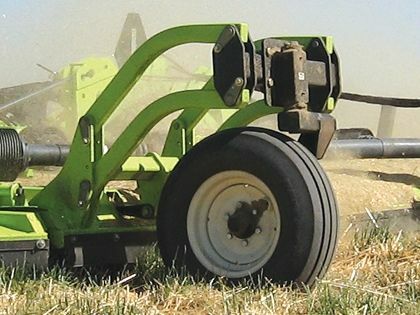 Cover more ground, while reducing the number of tractors and fuel required in an operation. Increasing your efficiencies means more money in your pocket. Unique 5-plex design flexibility allows for a completely "road-able" machine at a 3 m (9’ 10”) transport width. Available with stump jumpers for pasture and grass maintenance or with Schulte's exclusive fixed knife and baffle technology for mulching crop residue such as straw, corn or cotton stalks. Unmatched reliability with a premium Bondioli & Pavesi SFT drive & gearbox system. 350 HP divider box, 180 HP T-boxes & 190 HP right angle down boxes. Size 10 main CV with an over running clutch provides worry free shut downs. 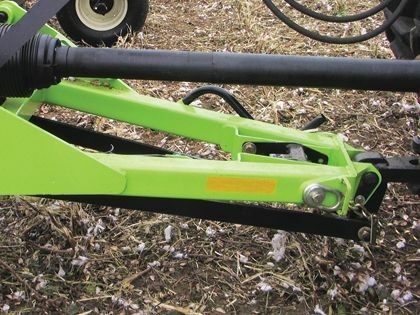 Fully compatible for all row crop cutting in 30", 32", 38", 40" and one metre row spacing. 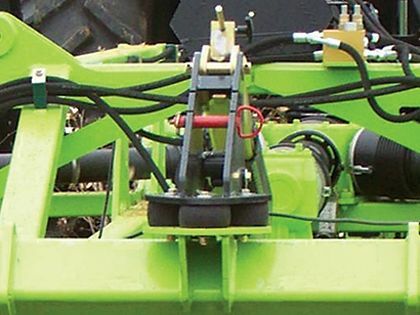 A parallel solid tongue hitch maintains even load on the tractor draw bar. Full rubber grommet suspension across the entire unit reduces shock loading and maintains even cutting, even in the roughest of conditions. 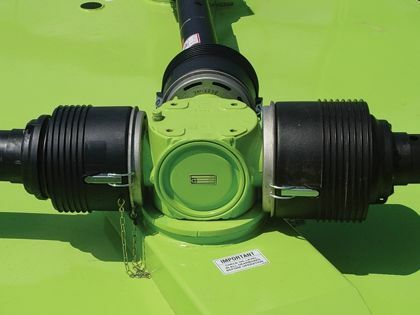 Schulte's unique driveline arrangement allows for independent clutch protection for each down rotor. A continuously welded 10-gauge domed deck adds strength and durability while reducing debris and water build up on the top of the deck.